The pages of these five journals covering the years 1843 to 1847 are filled with Emerson's struggle to formulate the true attitude of the scholar to the vexing question of public involvement. Pulled between his belief that a disinterested independence was a requisite for the writer and the public demands heaped upon him as a leading intellectual figure, he notes to himself that he "pounds...tediously" on the "exemption of the writer from all secular works." 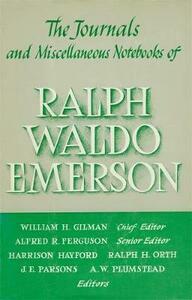 Although Emerson concluded his editorship of The Dial in 1844, he was continually beset by calls for public service, most of which drew their impetus from the reformist syndrome of the 1840's. 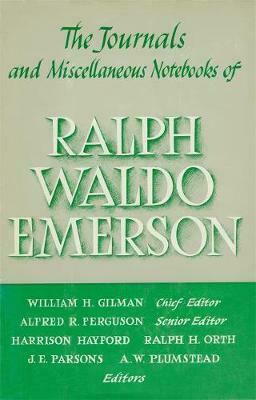 In response to such issues as the Temperance Movement, the utopian communities, and Henry Thoreau's experiment in self-reliance at Walden Pond, Emerson exercised sympathetic skepticism and held a growing conviction that the society of the day was not the lost cause many of his contemporaries believed it to be. These journals record Emerson's optimistic attitudes and show how later they existed side by side with concerns that, under the impulse of abolition, Texas, and the Mexican War, led him to some bitter conclusions about the state of the nation. Thoreau's refusal to pay his poll tax in dem onstration against slavery and the war particularly horrified him, and he confides inhis journal that Thoreau's action diverted attention from the possibility of real reform. 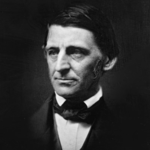 The moral ambivalence and cynicism of the day strengthened Emerson's belief that the self-reliant individual was the only answer. These individuals--men like Garrison, Phillips, and Carlyle--were, in Emerson's estimation, destined to set the standards by which society would be judged. Encouraged by the prospective publication of his first volume of poetry in 1846, Emerson also spent much of this period composing verse. Among the poems in these journals are "Uriel," "Merlin," "Ode to Beauty," and a section from "Initial, Daemonic, and Celestial Love." In anticipation of his second visit to Europe, Emerson began preparing a lecture series on "Mind and Manners of the Nineteenth Century." In these lectures he would take to the Old World his observations on the complexities of the times.